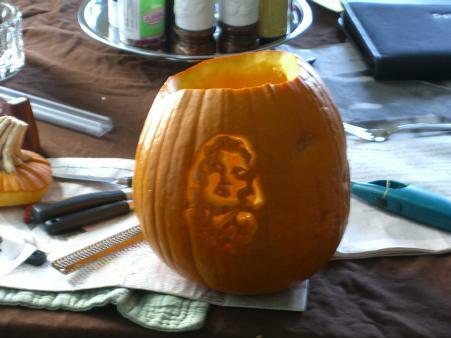 My Marilyn Monroe jack-o’-lantern. I think it will look better when I get better lighting for her. Pumpkin-tastic!